The Answer is coming back to BAIT on May 24. 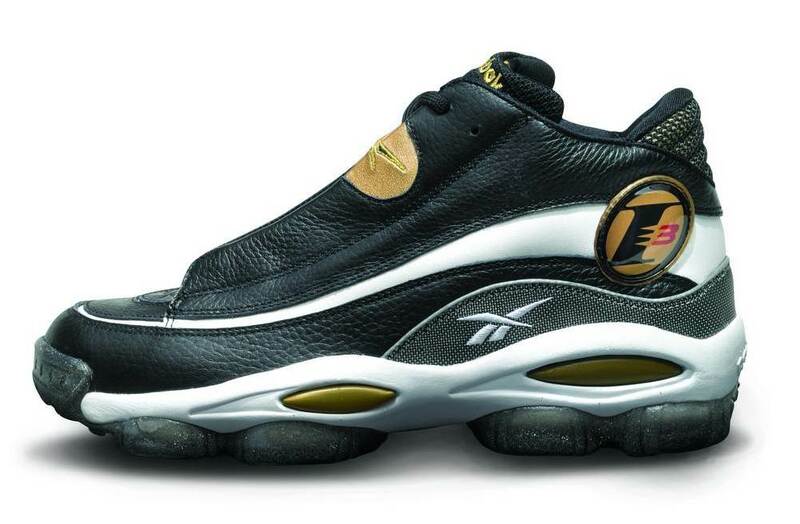 Allen Iverson’s second signature shoe – the Reebok Answer I – will be available in the original black and gold colorway for the first time since its original run fifteen years ago. The Answer I first hit retailers for Iverson’s sophomore campaign in 1997, following up the heralded Question Mid that he sported the previous season. The sneaker was aptly named after the moniker that Philadelphia fans had given him – “The Answer” – and served as a reminder of their expectations that year. Iverson would go on to average 22.0 points and 6.7 assists as the 76ers showed signs of growth behind his leadership. The Answer I was the first basketball shoe to feature Reebok’s beloved DMX 10 moving air technology. Along with the new “I3” logo and concealed lacing system, the unique DMX cushioning system cemented the shoe as an instant classic. Those defining features return on this retro release, which also features an upper built from high-quality tumbled leather and a speckled smoked translucent outsole. The shoe will launch at BAIT on May 24 for $150. Follow BAIT on Twitter as the release date nears. You don’t want to miss out!